I diagnose & treat problems to allow people to live their lives without pain and symptom free. Dr. Everett a very good person took time to understand the situation. Very good. Dr. Everett takes the time to talk to you about what is going on with you, and why he orders certain medicine for you. Great doctor. Dr. Everest is an excellent cardiologist, we hadn't seen him in a while. Good experience. I found him very knowledgeable, patient, clearly explained matter. For me it was a good experience. I think Dr. Everett is great. Enjoy him as my cardio doctor. Dr. Everett and staff were all professional and I was comfortable with Dr. Everett and his staff. He showed such concern for my overall health, especially controlling my HBP and the effect it has on my heart health. He does follow up _____ want to establish or access my kidney function levels that may use based on the medication prescribed. I am so grateful for his concern. Very well, first time seen by this doctor. This provider was very well informed about my records. The provider was very good & his staff I'm glad I was recommended to him. Dr. Everett; takes the time to listen to you; and answers questions that you ask of him. He takes your questions very sincere. Very good dr. 100 pt. concern for you. excellent service and advice, also the doctor was very knowledgeable for my concerns. professional. Always direct, open & honest; friendly open demeanor. Explains clearly & solicits patient input. It was my replace 6 month check-up appointment, with cardiologist. I follow his recommendations and feel much better now. Provider is good. Don't like the fact that you have to call to make an appointment the last week of the month prior to the month of appointment, i.e., call last week in May for June appointment. I've called and got an appointment one month later. Very good. I like Dr. Everett, because he takes the time to talk to you and explain; why he does things for you. Very good bedside manners; always a smile on his face. I have only been a patient of Dr. Everett for the past year and I have been very impressed with his mannerism and patience. He and his staff have explained in detail what I need to do to work at being healthy. Visit was good. Was new patient. Put on a new medicine regimen. Was asked to return in 3 minutes. Dr. I had for 34 years retired and referred me to Dr. Everett. I found Dr. Everett to be very professional & concerned. For my visit I thought he had a listening ear to what I wanted to tell. He explained condition and did let me know that he was going to get to the matter. Very professional Doctor. It was informative and helpful. I was very impressed with the questions asked and the physical examination he gave me. He made me feel like he cared about my future health and what my plans were for my multiple health issues. On my visits to Dr. Everett, I have a family member with me to confirm my understanding. Very professional. I would recommend this doctor to my family and friends. 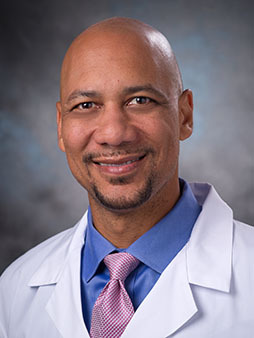 health eNews with Marlon E. Everett, M.D.